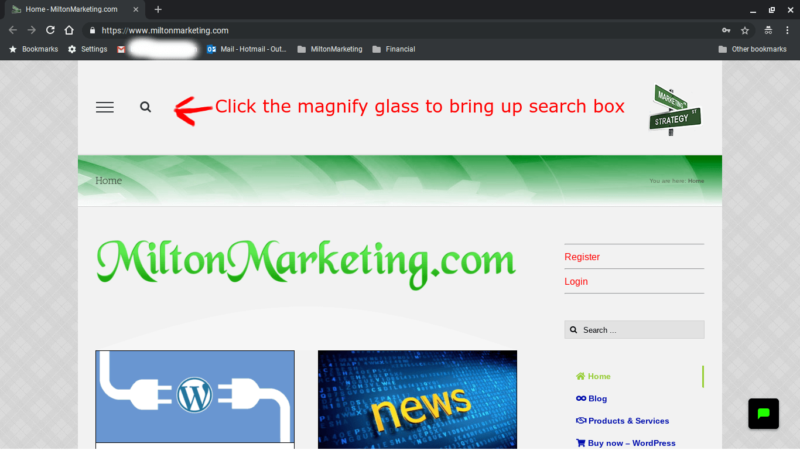 You are here: Home » FAQs » MiltonMarketing.com » How do I search MiltonMarketing.com with its internal search? 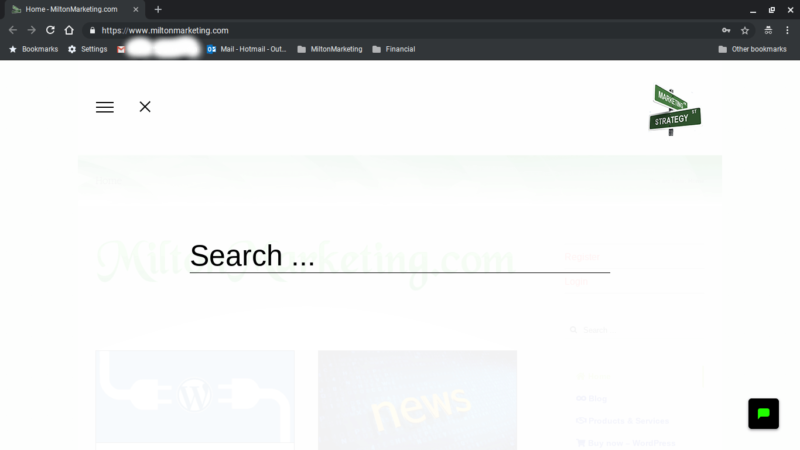 How do I search MiltonMarketing.com with its internal search? There are 3 methods to access our search feature. In the top left hand side of screen choose the magnifying glass. Enter search phrase in text box of large white pop-up screen. On the right hand side side of screen in the sidebar you will find a search bar. Notice this search bar brings up results as you type into it. Hence its name fancy. 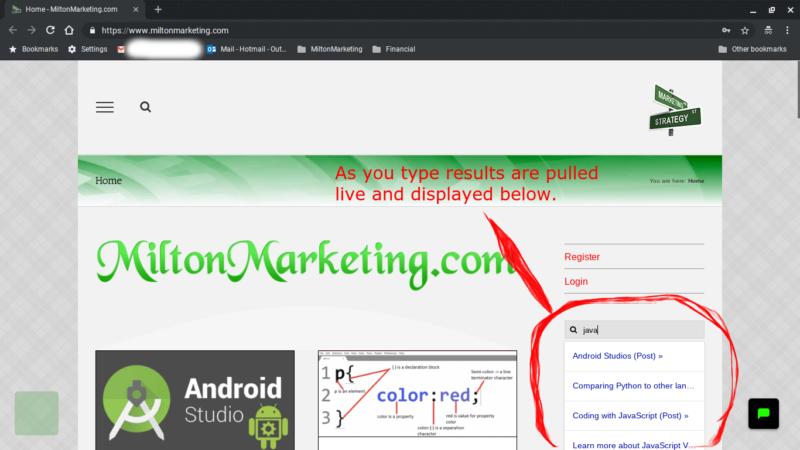 So anything behind the equals sign is the search phrase and MiltonMarketing.com will search our database for that search phrase. and it returns the results from our website. Handy and productive. Learn more about web-based search engine shortcuts in your browsers. How do I install plugins in WordPress?